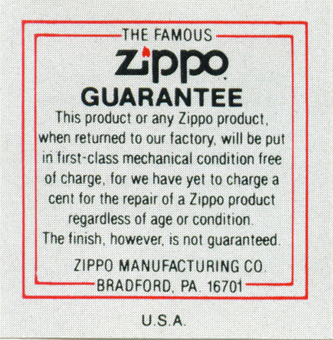 red stamped NOT AVAILABLE ! 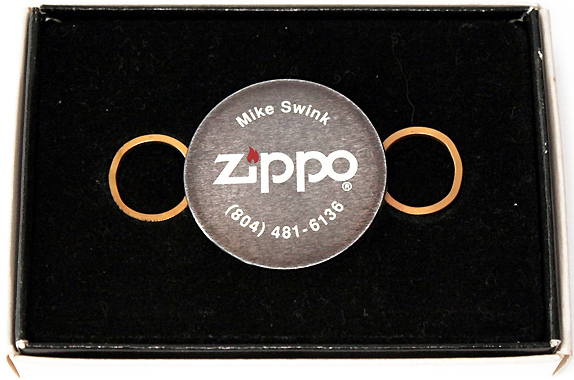 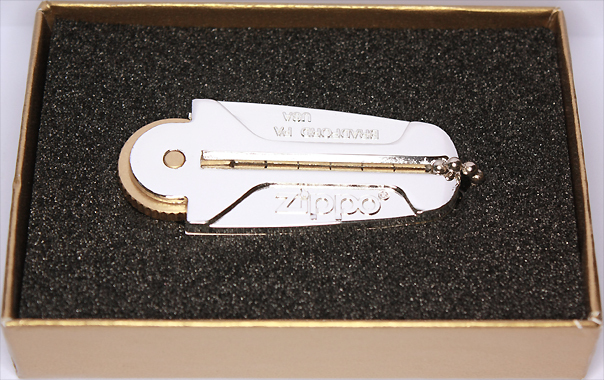 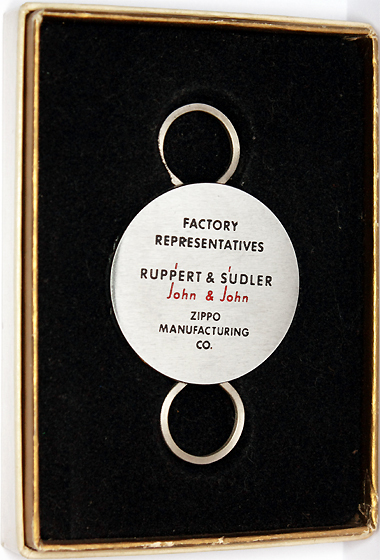 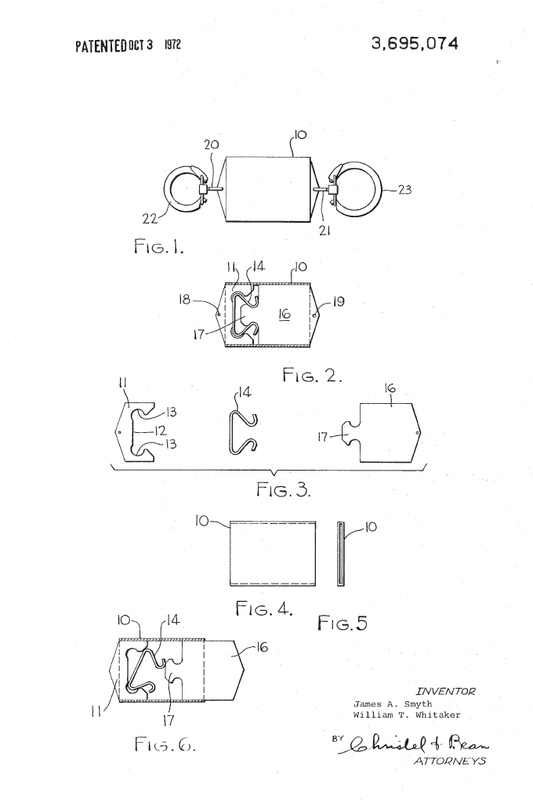 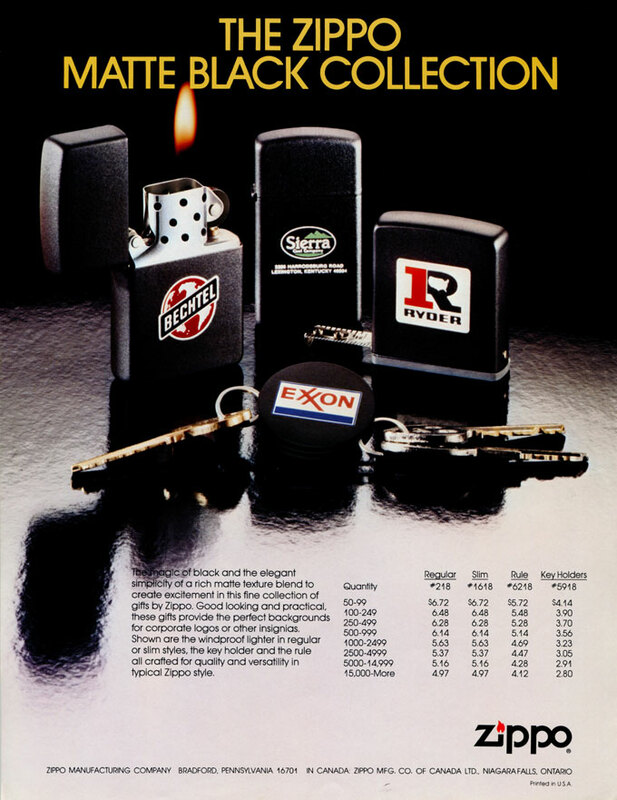 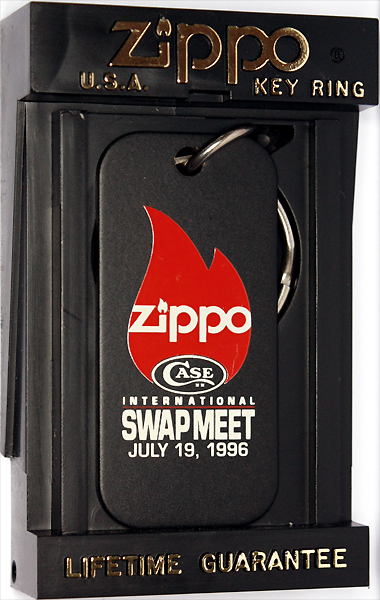 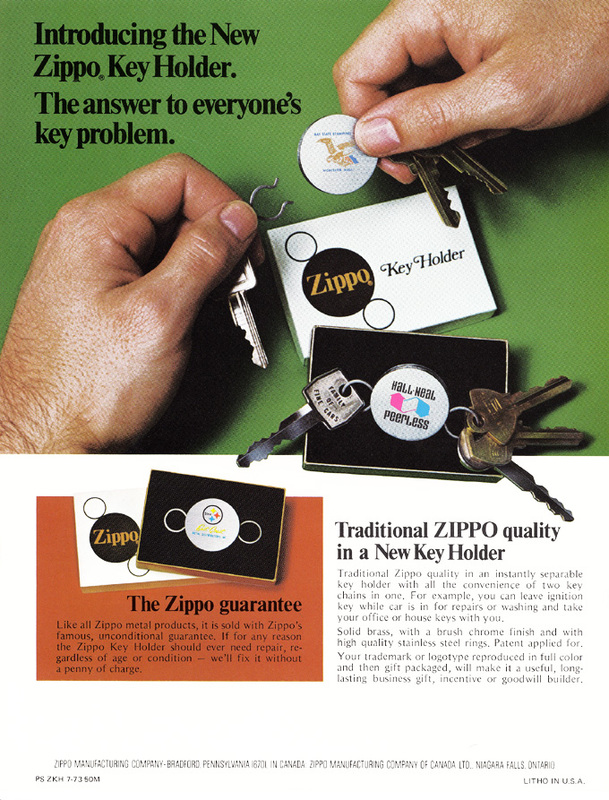 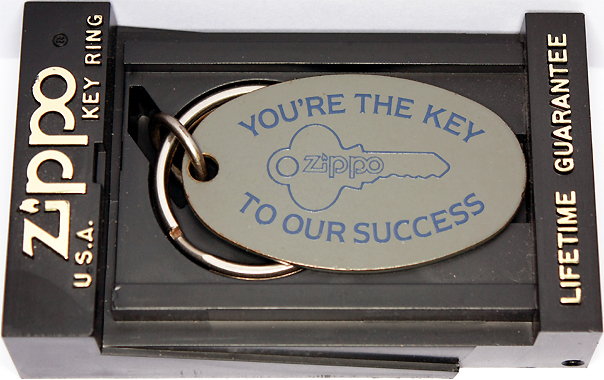 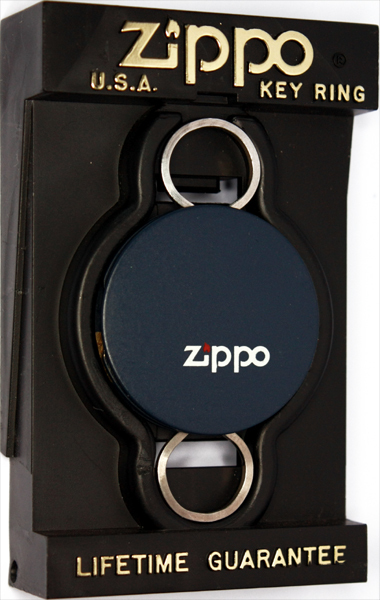 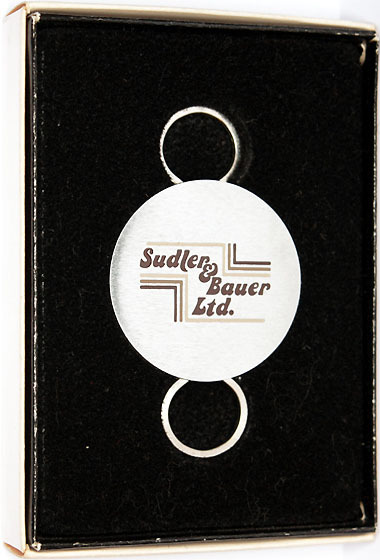 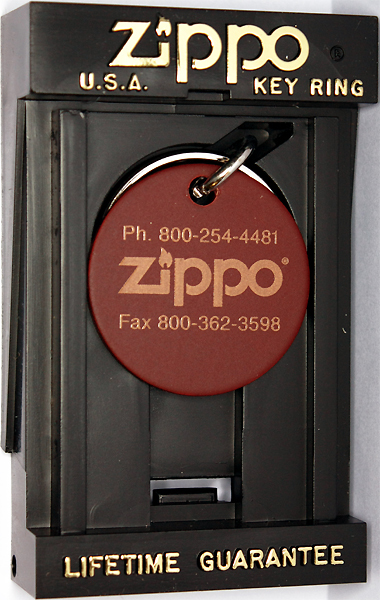 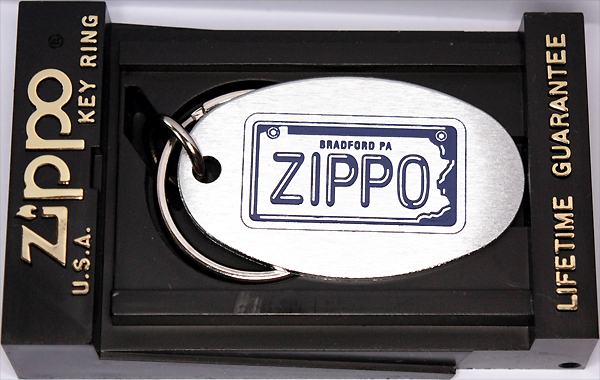 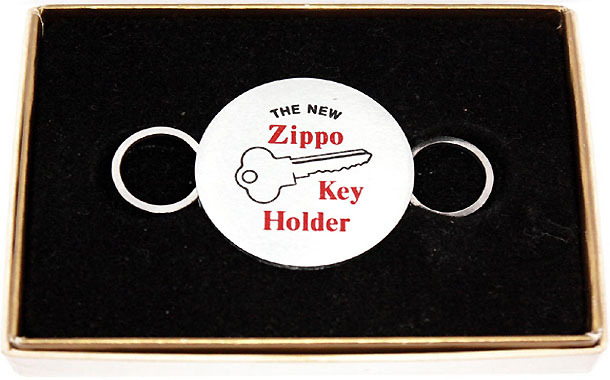 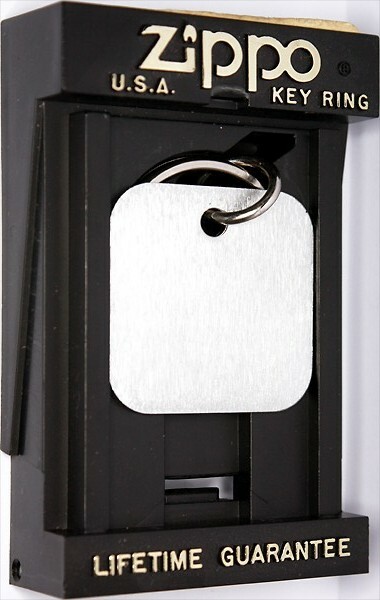 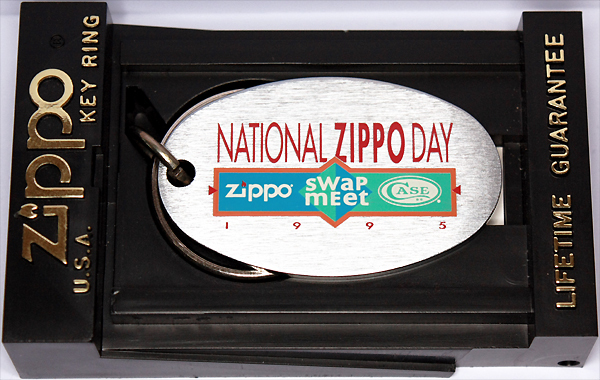 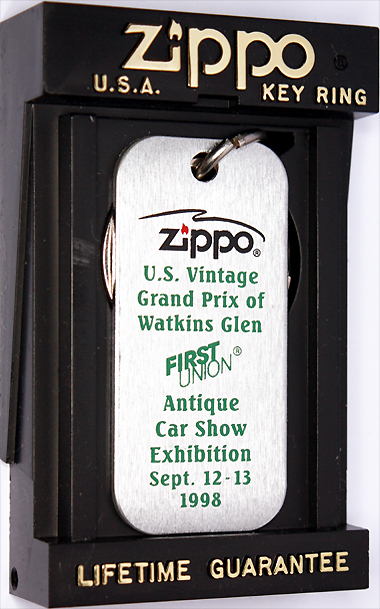 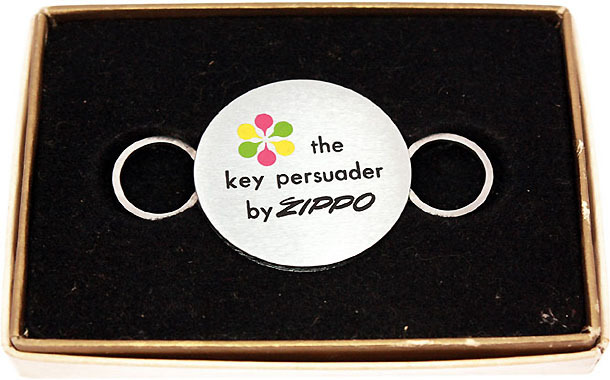 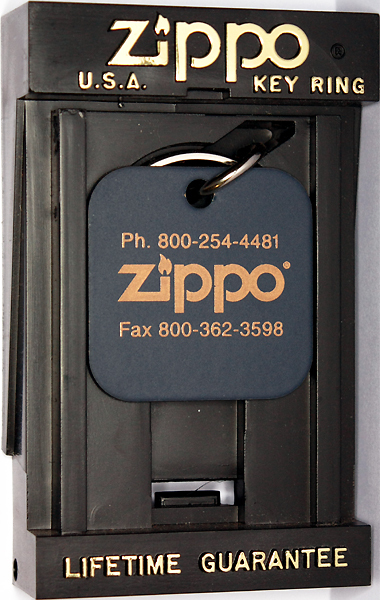 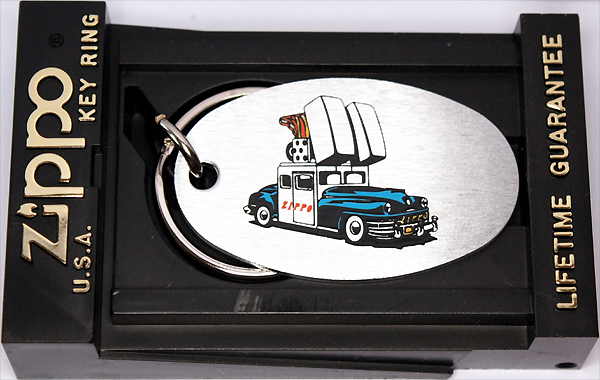 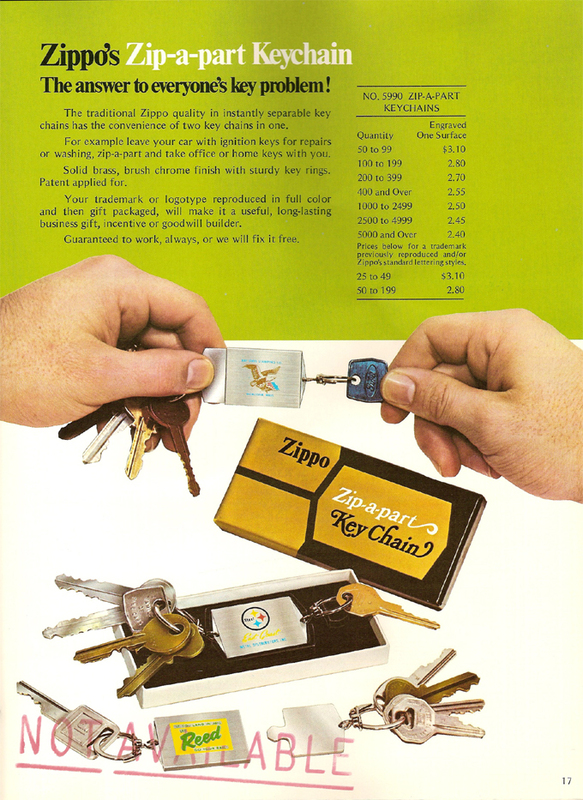 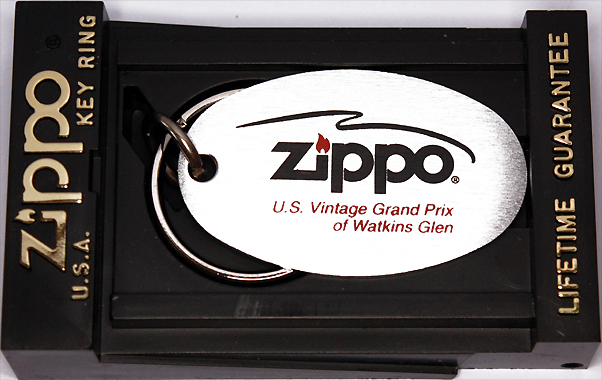 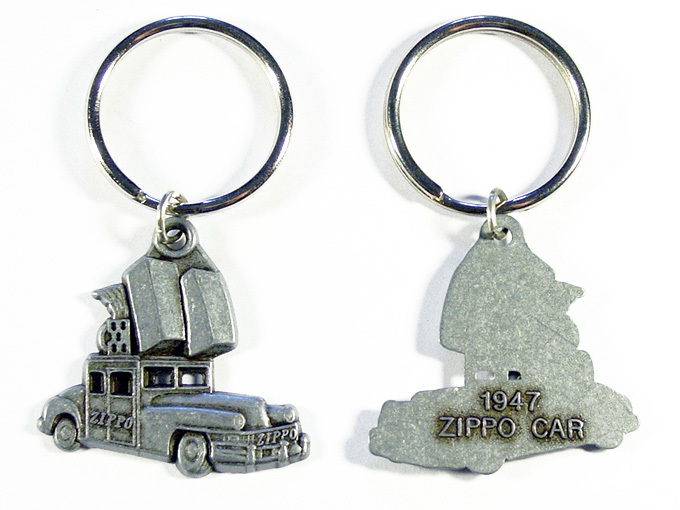 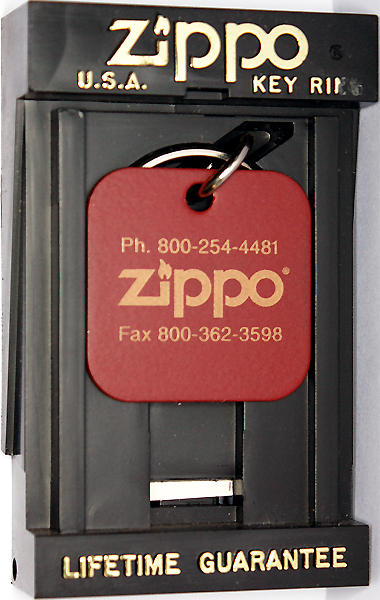 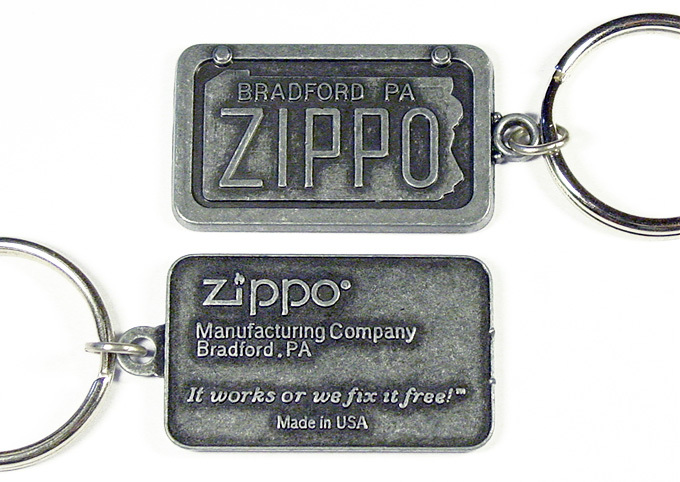 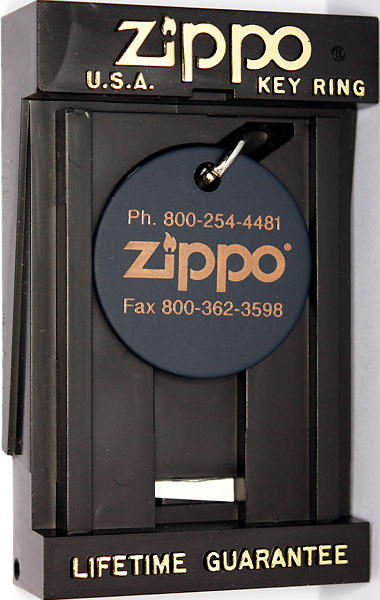 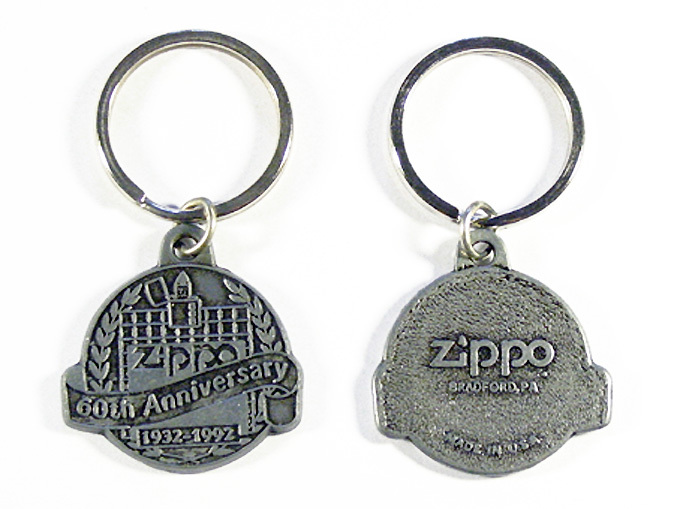 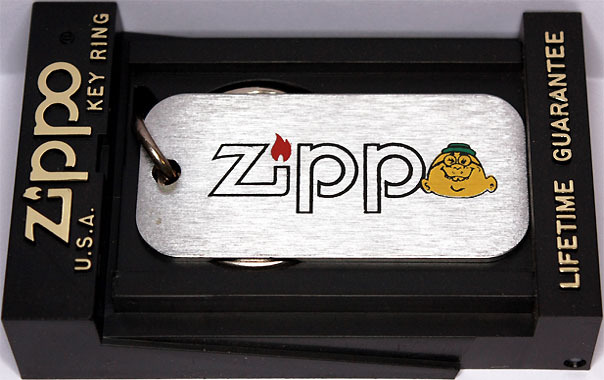 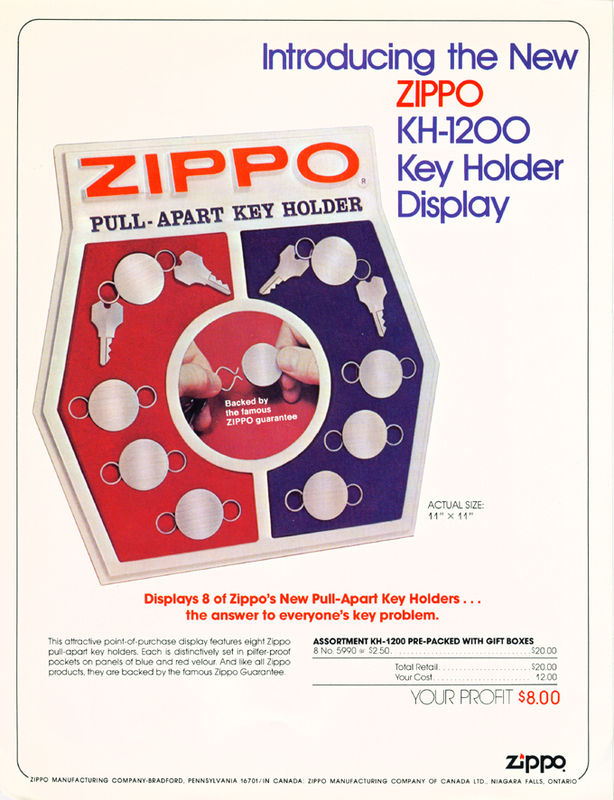 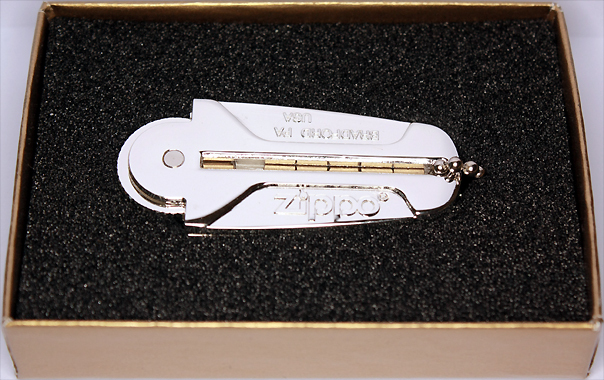 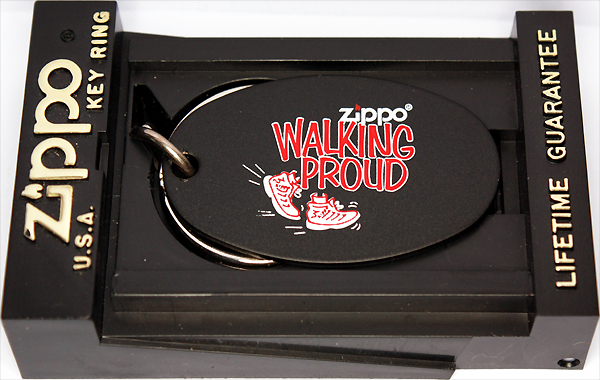 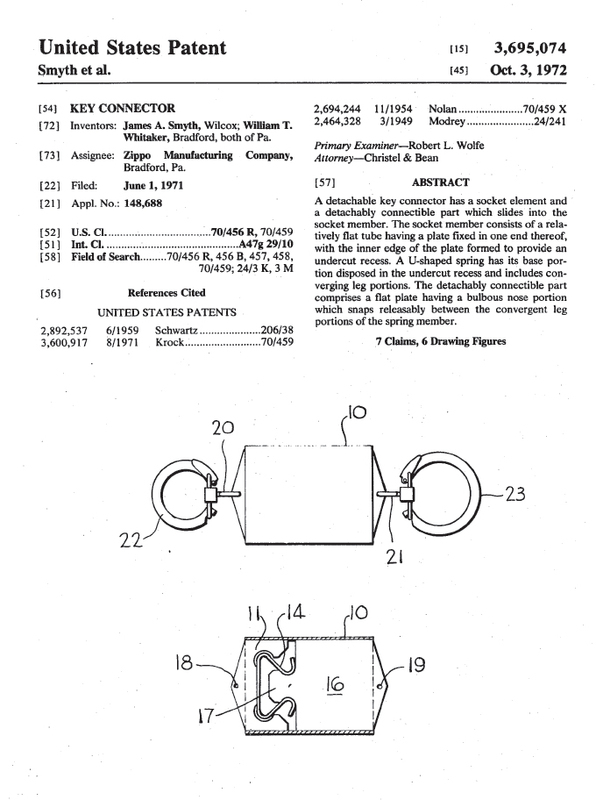 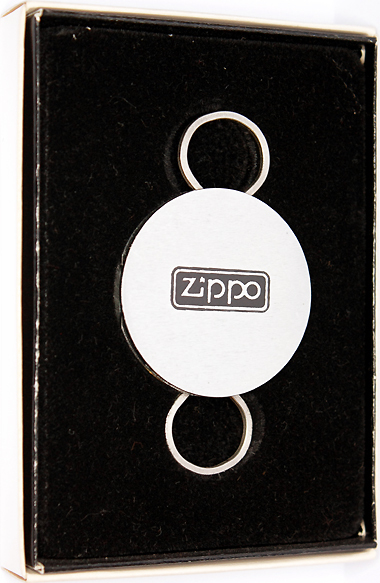 four versions of the first ZIPPO pull-a-part key holder boxes can be found with three of them showing slight differences regarding the registered trademark sign and one made for the canadian market only. 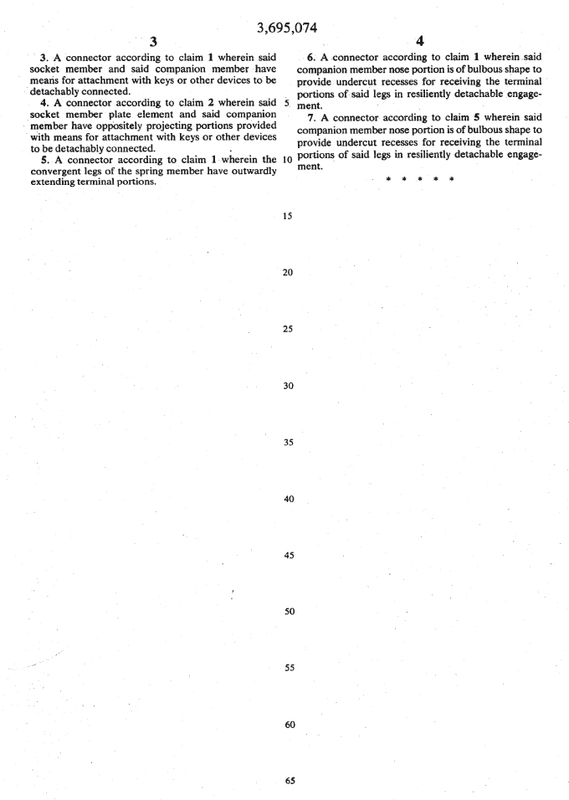 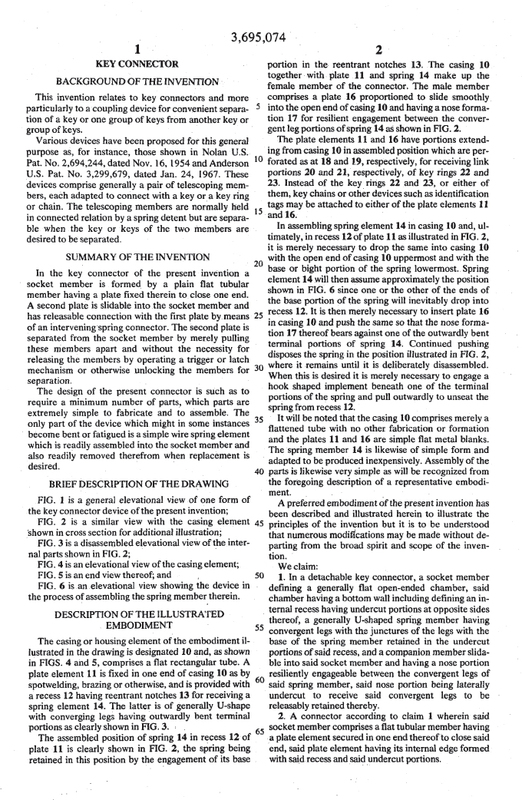 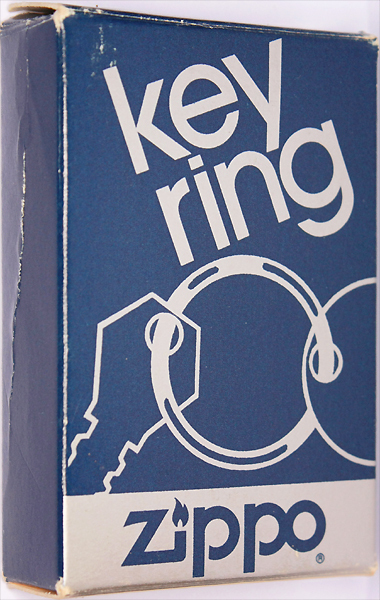 In 1974 the Venetian design was added to the product line, originally named Florentine. 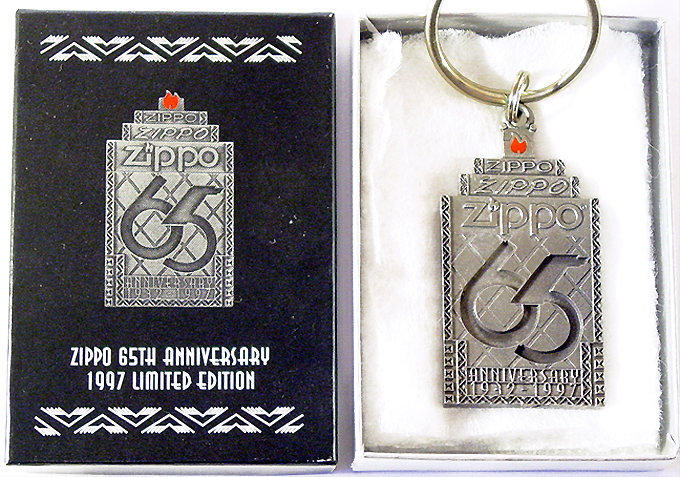 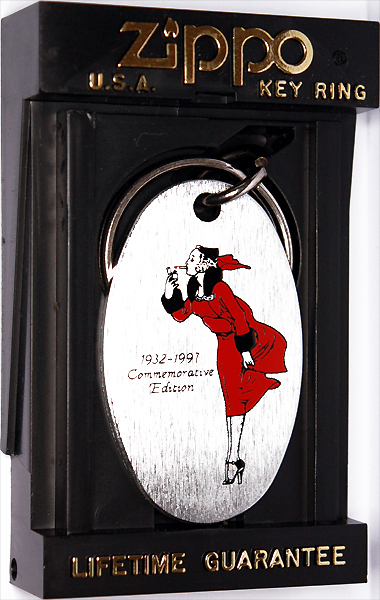 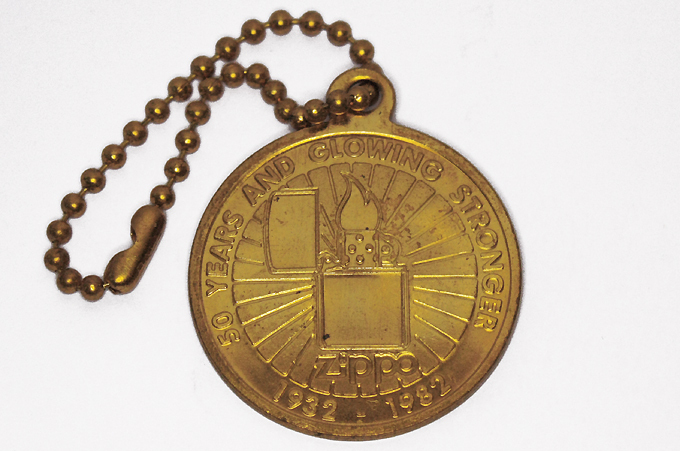 This design was used on regular & slim Zippo lighters. 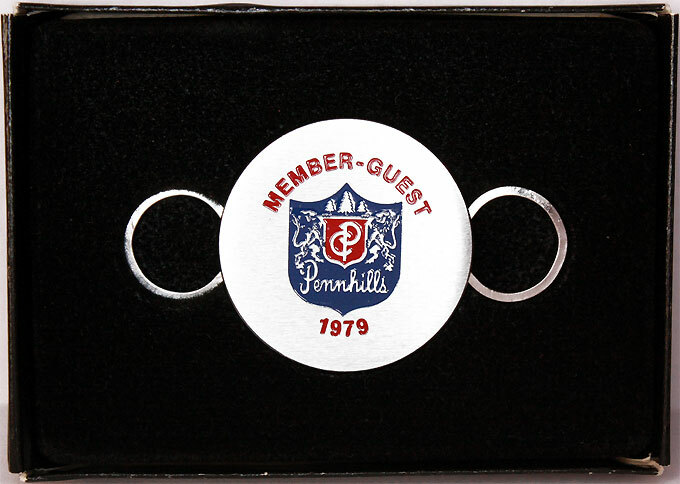 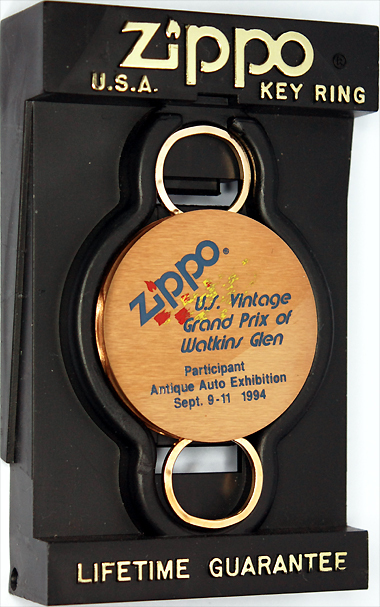 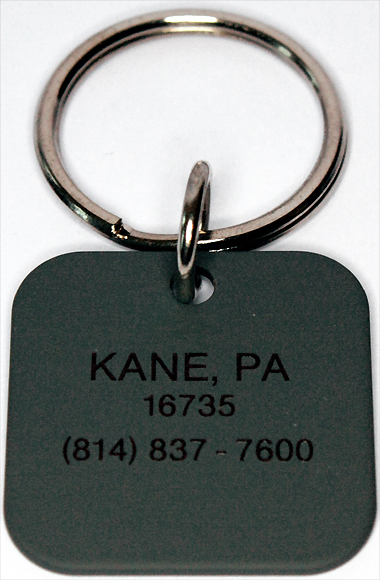 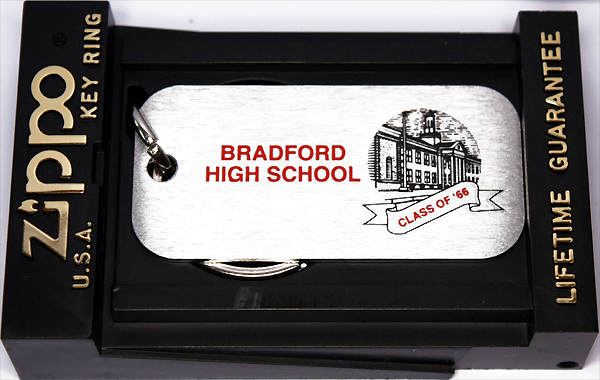 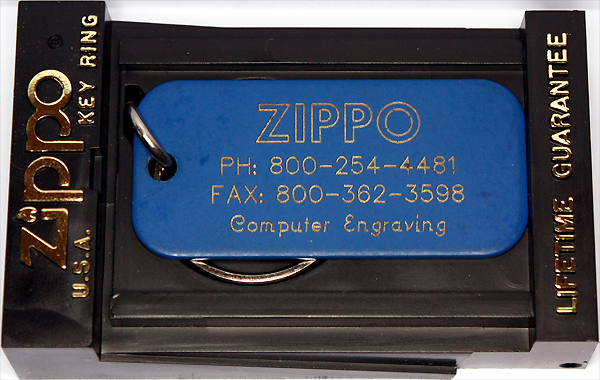 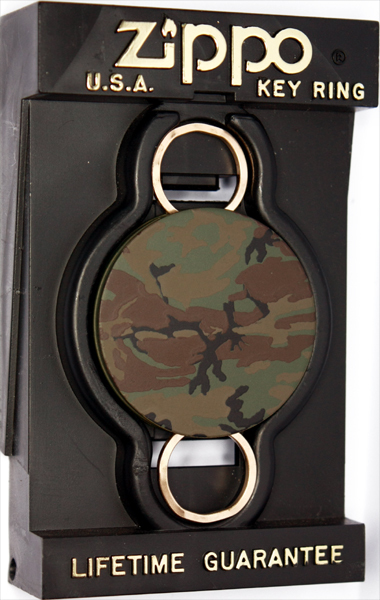 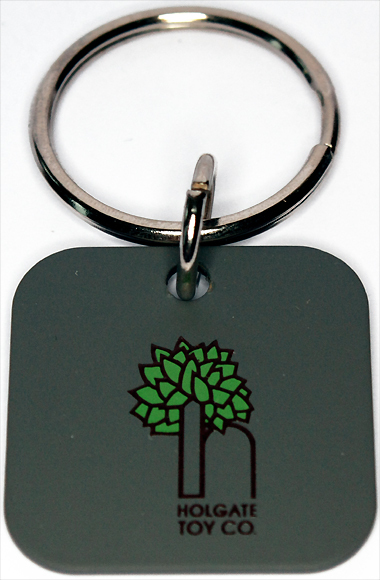 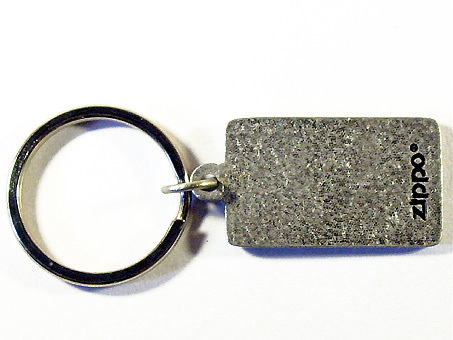 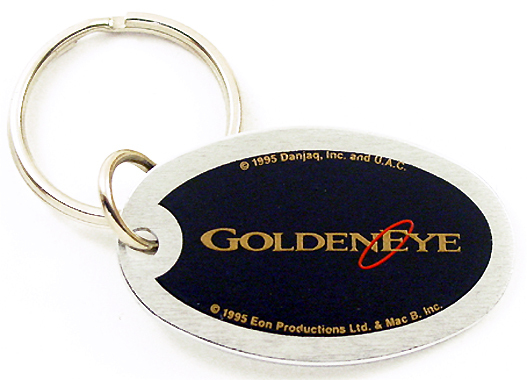 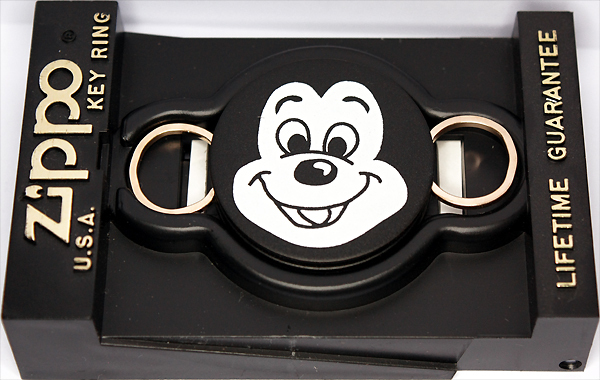 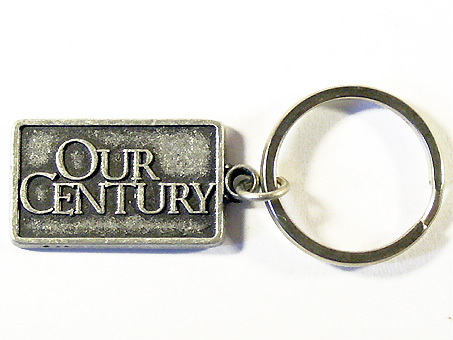 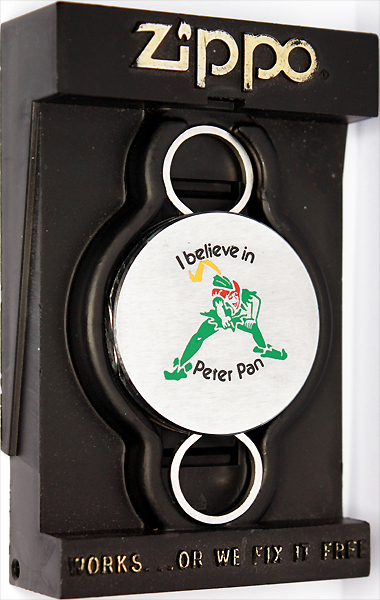 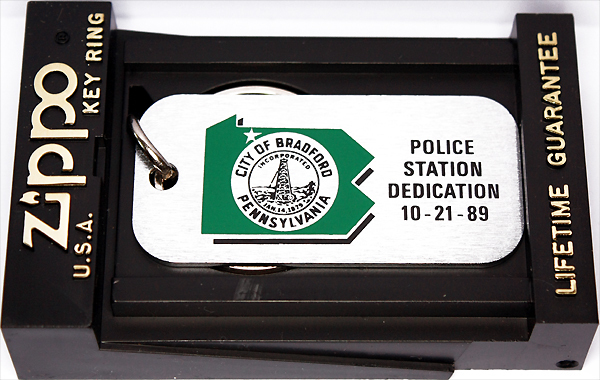 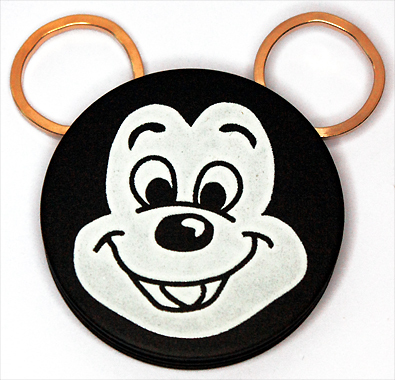 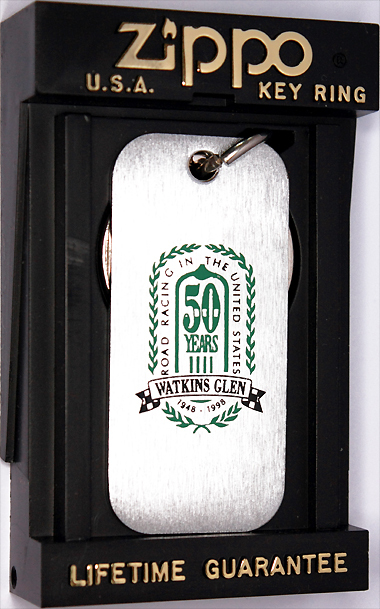 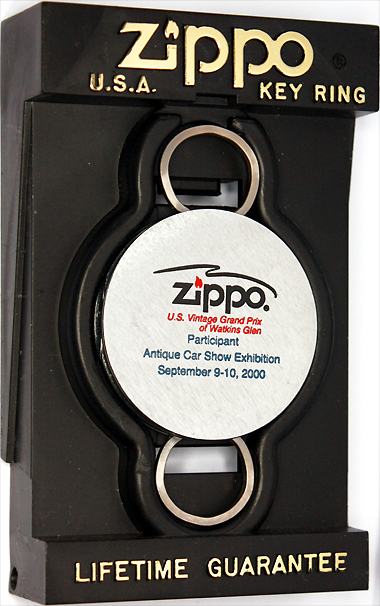 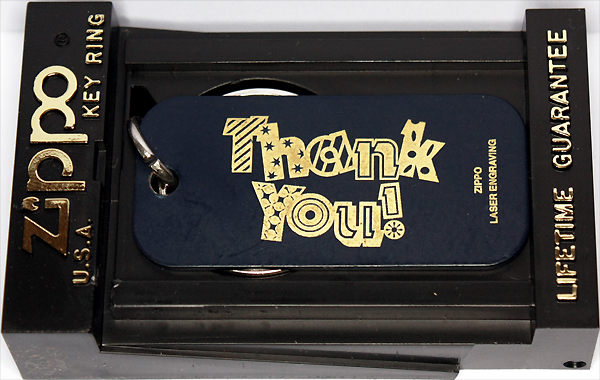 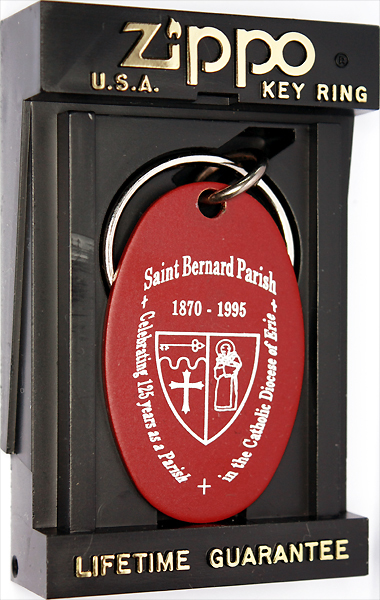 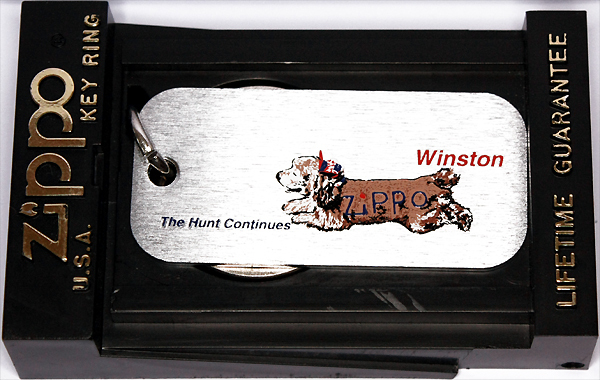 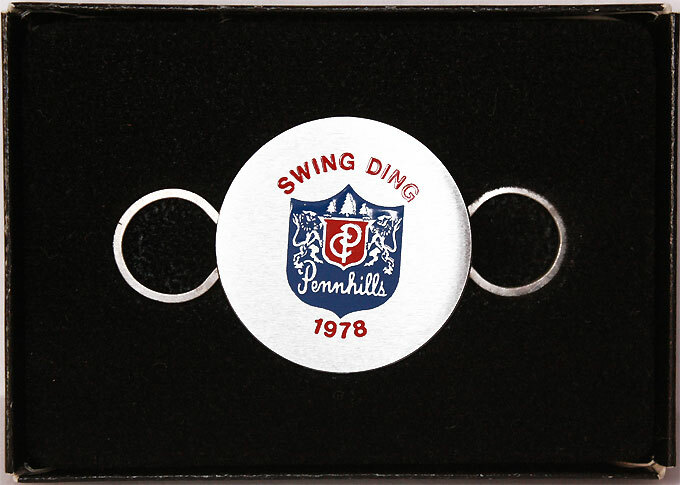 The engraved & color-filled pull-a-part key holder above never made it to the official product line but is a test sample made for internal purpose only. 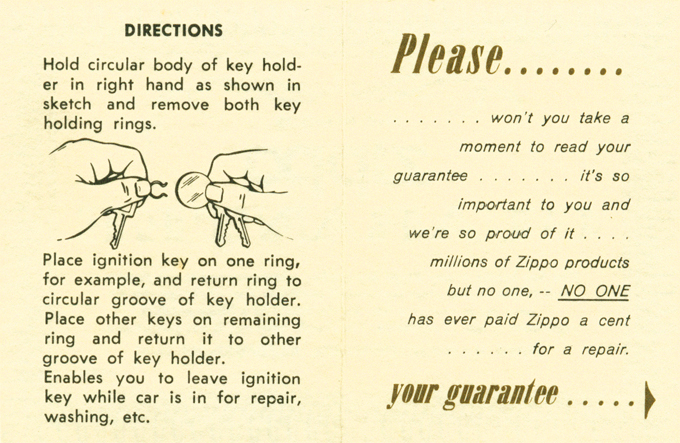 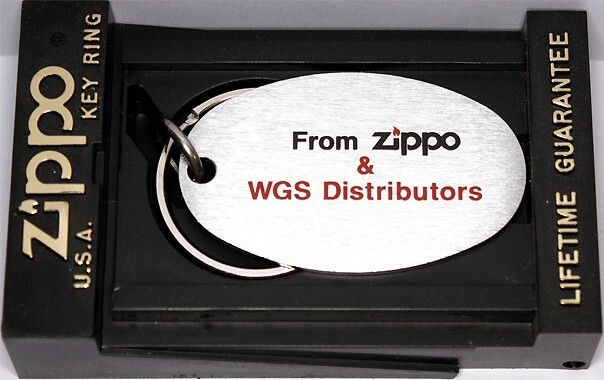 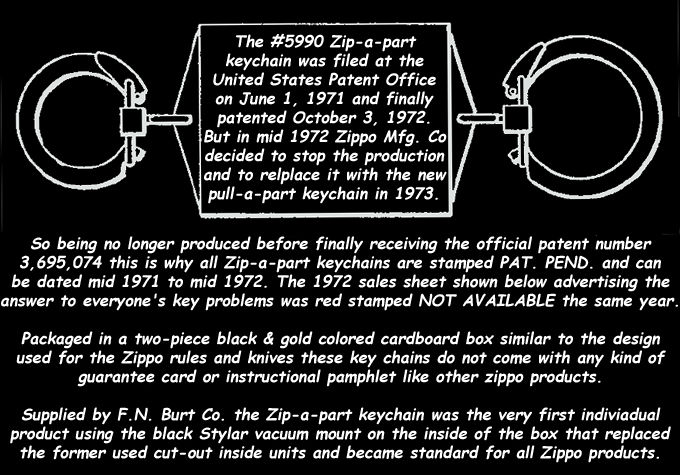 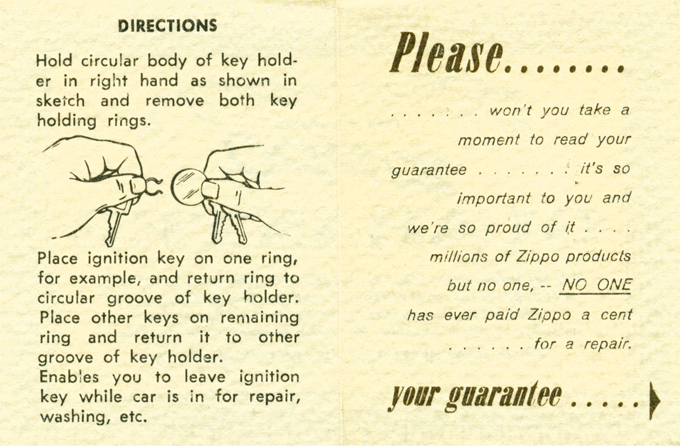 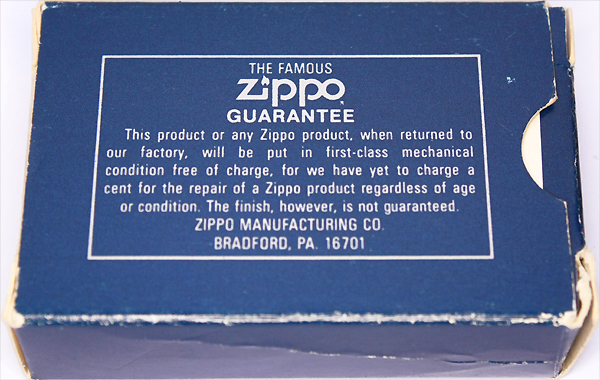 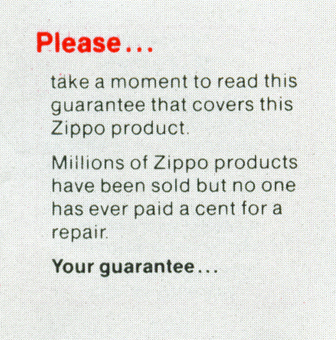 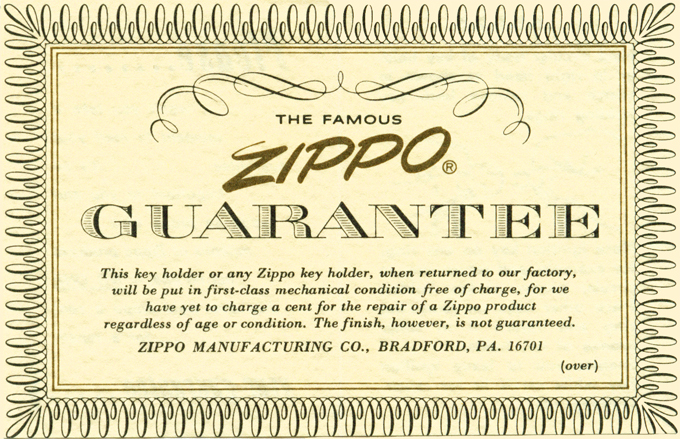 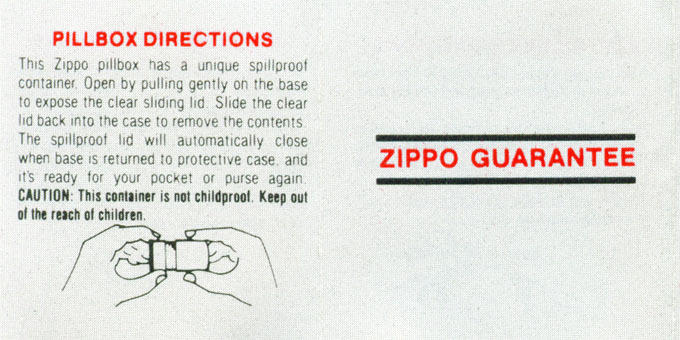 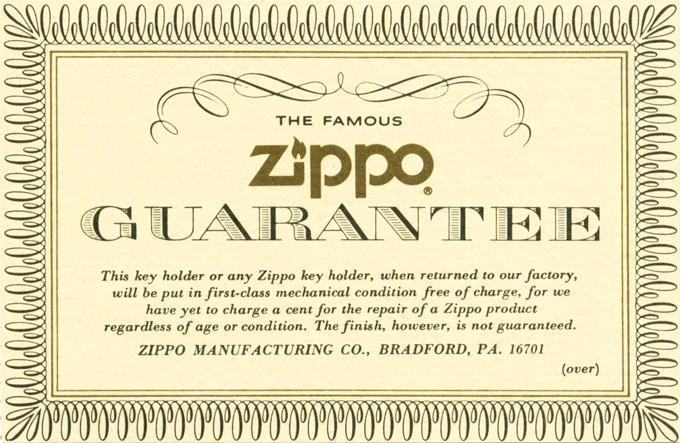 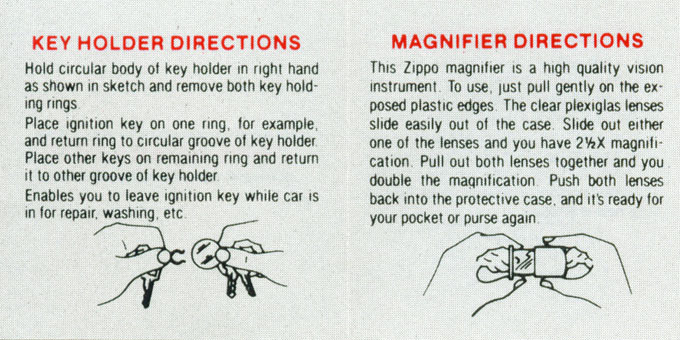 Zippo's guarantee card for the new black plastic boxes used since 1986 includes directions for the pillbox, thepull-a-part key holder & the magnifier.